Through the definition of segments joined by joints we can establish and predict the behavior between the different joint structures. For example, we can define the femur segment and the tibial segment, establishing axes that place the knee joint, which through the three axes XYZ where we obtain the degrees of flexion-extension, rotation and varus-valgus between both segments and separately, facilitating the Study of movement. Analysis of the march: In static tape or free march (within a wide space). 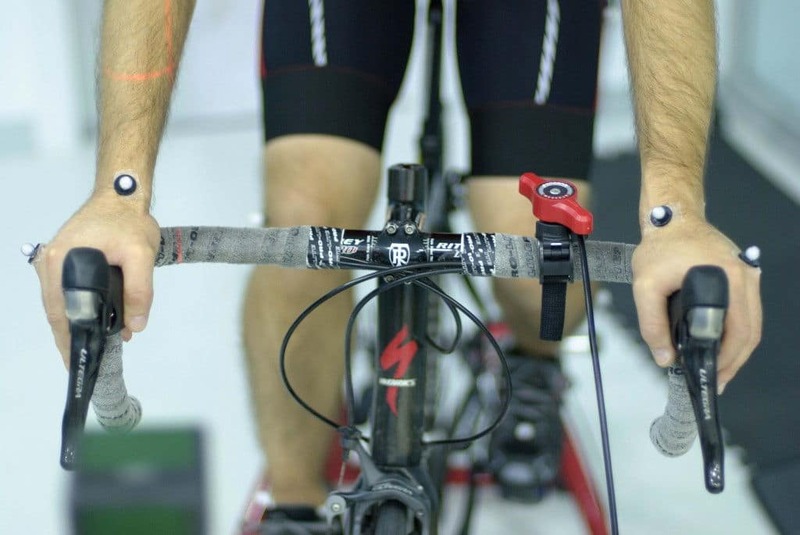 Cycling: Being able to analyze the mechanical behavior of the bicycle independently. Riding: Analysis of the rider and the horse. 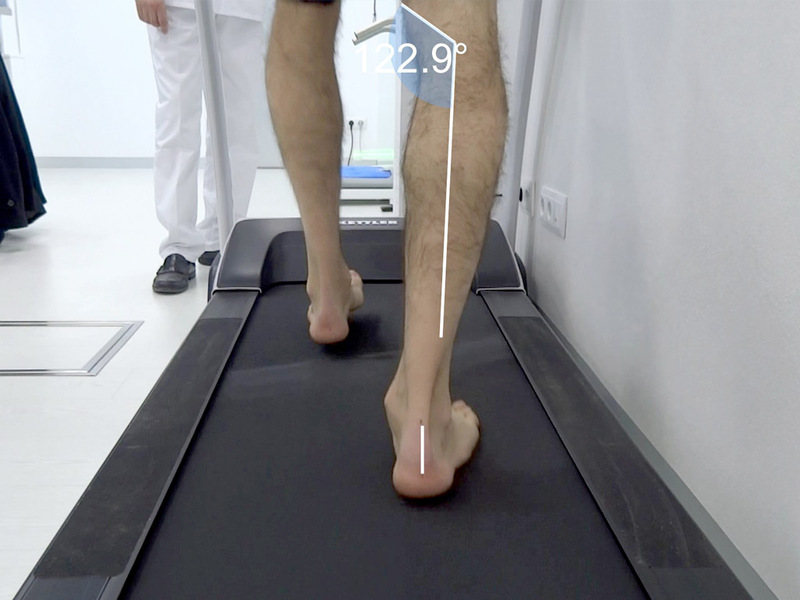 A simple lower extremity (duration approx 20 min): Fast and efficient analysis to obtain a general evaluation of the lower limb very useful in checking treatments with plantar supports and their influence on the knee or hip as well as the influence of footwear, splints And sports gestures such as soccer. Oxford Foot Moldel (duration approx 45 min): The model analyzes the behavior of the foot by dividing it into three segments, hindfoot, midfoot and forefoot (extra markers can be added and the function of each of the fingers can be seen) And especially indicated in podology It is currently the most complete model for the study of the foot and is used in different research centers and hospitals worldwide. Whole body (duration approx 45 min): The whole body analysis provides information on the behavior of the upper limbs, rachis, chest and skull, accurately defining the projection of the mass within which is of vital importance at the time of Assessing the influence of scoliosis, lower extremity asymmetries, neurological marches or sports gestures such as golf. To this model can be added Oxfor Foot Model, obtaining a very extensive exploration, depending on the available time and the intention of the test. Once the 3D study is done together with the anamnesis, an explanatory report is drawn up with the conclusions. Through the virtual reality, an interactive 3D vision is obtained, accompanied by the graphs of diagnostic interest and an explanatory text of the same, where the diagnosis is written. As the data remain recorded, successive tests can be performed to assess the effects of treatment, improvements in sports management or results before and after surgical procedures. 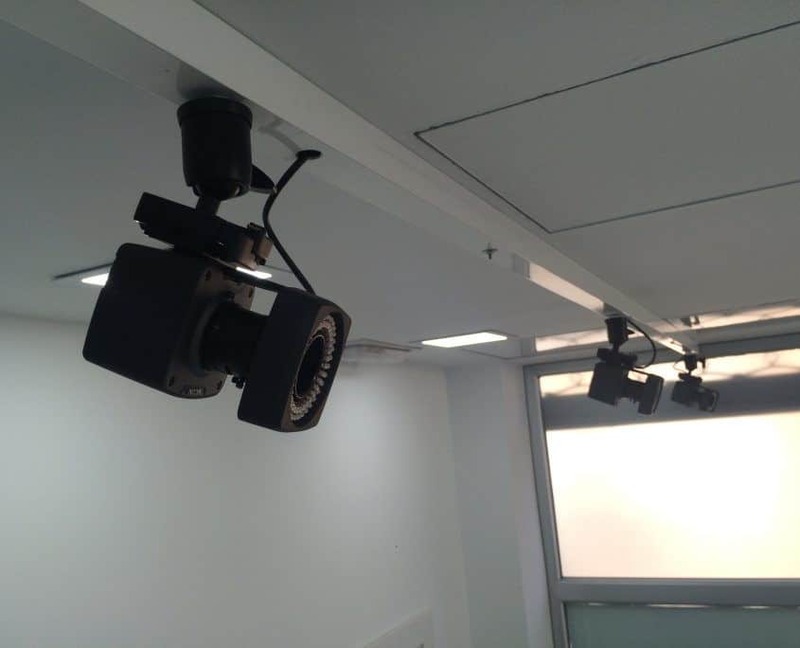 It is a system specialized in the capture of the movement by means of three digital cameras of high speed and high resolution, accompanied by an infrared system of illumination. It operates with reflective markers and also with active LEDs. 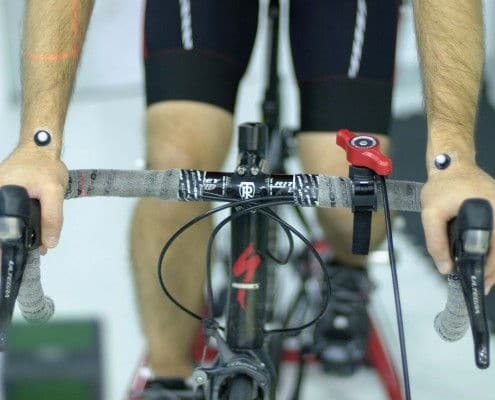 The strategic placement of these wireless sensors in the articular areas of the body provide us with specific information about the joint ranges along with the speed curves achieved, achieving a precise analysis of the amplitude, speed and quality of the movement performed. 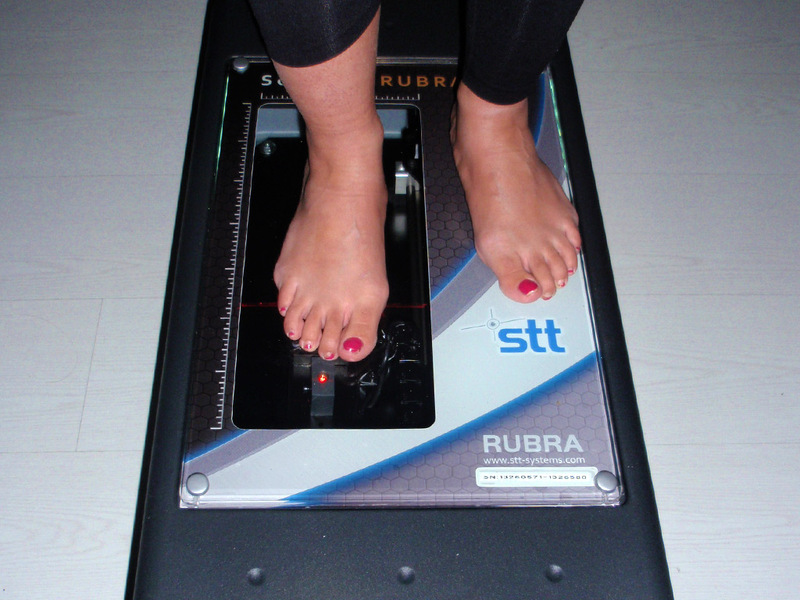 This apparatus is of great relevance in terms of optimization of sport performance and for the quantitative diagnosis of structural alterations of the whole lower extremity. 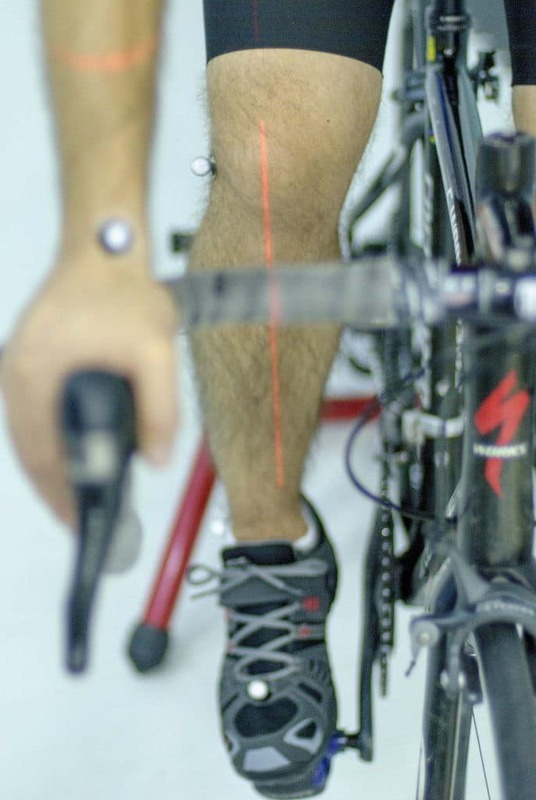 The MBody system consists of a compression mesh that incorporates textile electrodes for the measurement of electromyography (EMG) of the quadriceps and hamstring muscles. 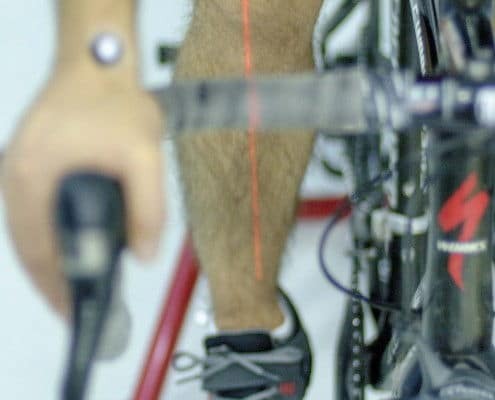 This study allows us to receive qualitative information of the activity of the muscles facilitating the evaluation of muscular dysfunctions or biomechanical alterations, taking into account that during the race the quadriceps performs an activity of 60% and the ischitibiales a 40%, while during the march The activity is evenly distributed. Once the pathology has been diagnosed and a muscular treatment or rehabilitation has been performed, a comparative study can be carried out to assess the follow-up of the lesion recovery. 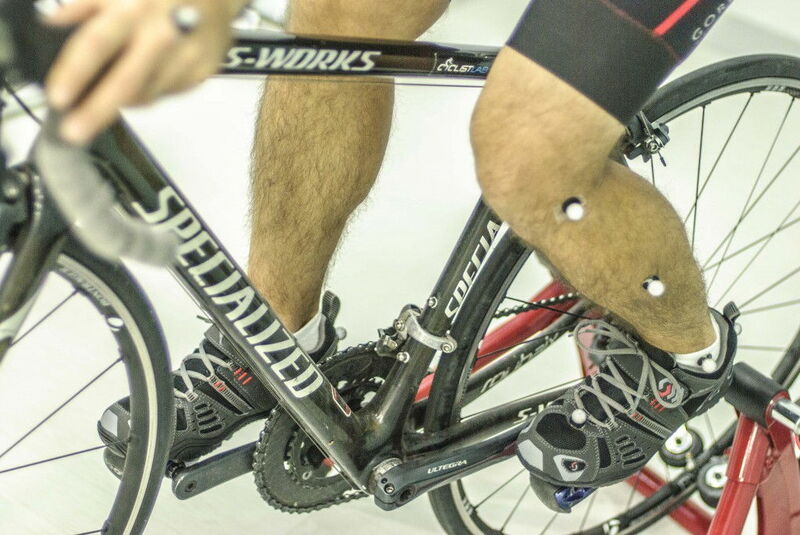 One of the latest advanced technology in biomechanical analysis is the bioval system, a system of human motion analysis based on inertial sensors that incorporate integrated in its hardware an oscilloscope, an accelerometer and a gyroscope, that will evaluate any phase of human mechanics In the three planes of space. The system transmits in real time all the movements of your body allowing to qualify them and to quantify them in each moment of the march. You can analyze the behavior of your body barefoot, with footwear and with the treatment put on the footwear, so it allows to assess the effectiveness and performance of the treatment. The system has no application limitations so it can be used in any part of the body, making an assessment of how a treatment has acted in different areas of the body and a follow-up of the evolution of the pathology to be treated. 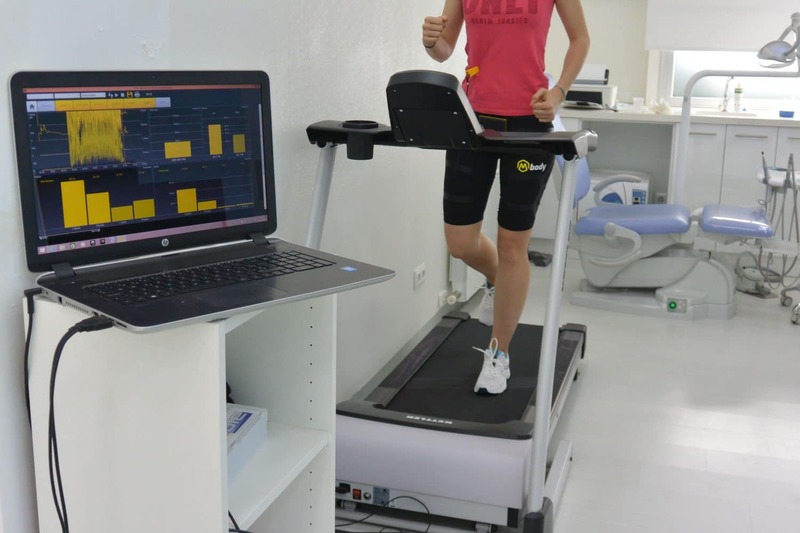 Evaluation of the dynamics through high speed cameras along with their software specialized in different sports activities, we can analyze the sequences obtained to obtain results on the progress and optimization of body movement. It is a three-dimensional scanning and laser system. It obtains complete and detailed information of the surface of the foot of a patient in different positions: supporting all their weight, with partial weight or without weight. 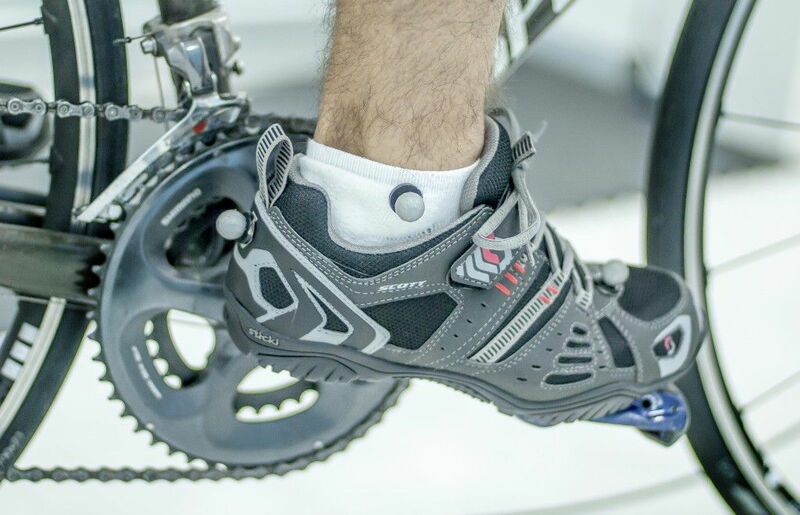 It guides the choice of the ideal footwear, respecting the physical and biomechanical characteristics of the evaluated person, minimizing the risks of injury and increasing their performance. The 2D scanner is a system that allows us to capture a number of parameters in the foot, such as the actual foot lengths, width (hindfoot, midfoot and forefoot), as well as breech geometry (inner arch and outer arch). It has the possibility of archiving the images in the database of the patient and automatically measuring the foot and comparing the symmetries of support. It is also a system of analysis of the digital footprints that facilitates the visualization of hyperkeratosis, digital deformities and the actual condition of the arch. 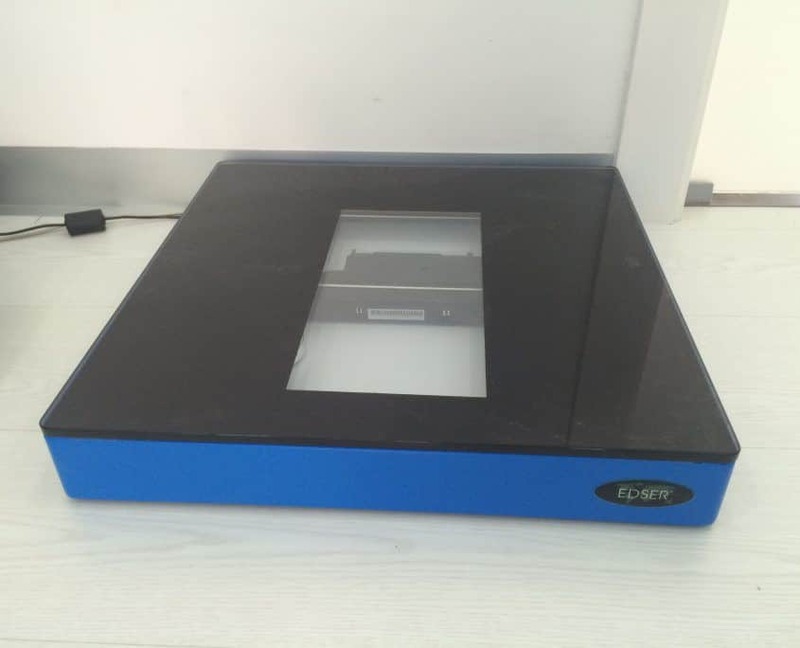 At the same time, it is capable of performing the functions of the traditional pedometer, and it is possible to mark selective discharges directly on the patient’s foot, to position the discharge elements. It consists of a pressure platform that allows the analysis of the function of the foot in both static and dynamic (load and propulsion phase). 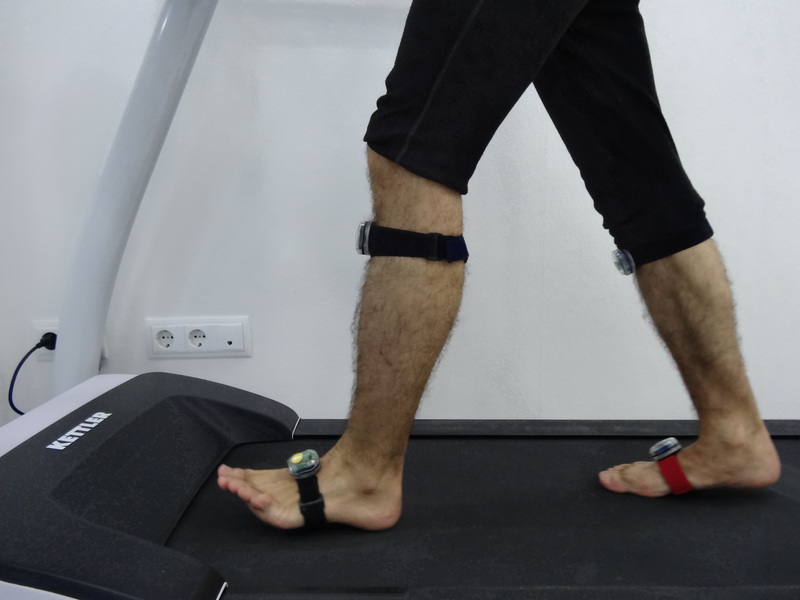 The evaluation of the step on the sensors, allows to appreciate the behavior of the plantar footprint in dynamics. 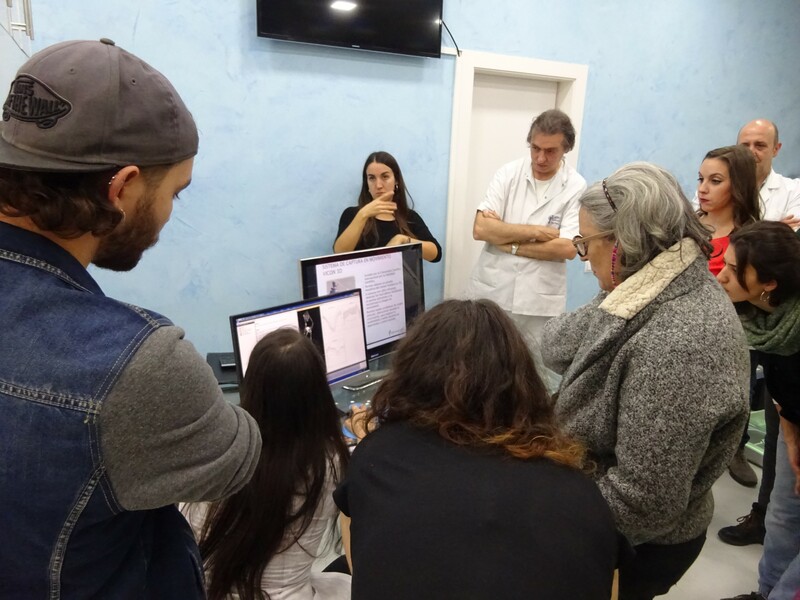 By means of the videotaped computerized video of the movement of the lower limb, we will be able to apply the biomechanical knowledge in order to arrive at the precise diagnosis in each situation. With this technique, we evaluated by means of quantitative analyzes, normal and pathological human gait, we identified the existence of functional alterations of the foot through an objective record system and we evaluated the degree of evolution. 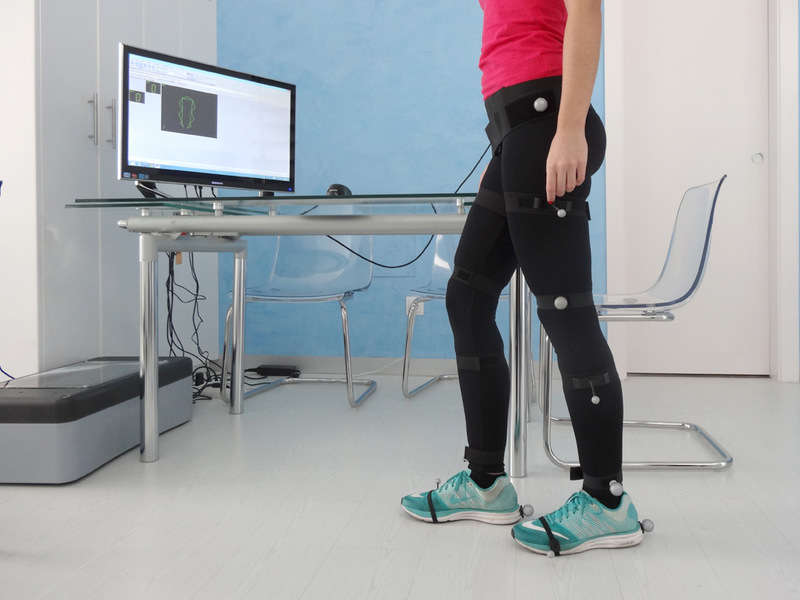 It allows the evaluation and measurement of the postural quality of the patient, in order to obtain postural reeducation and correction of erroneous loads. Its graphical representation is shown on the screen (statocin-sketch) of the successive positions of the pressure center and allows a measurement of oscillations (stabilogram). 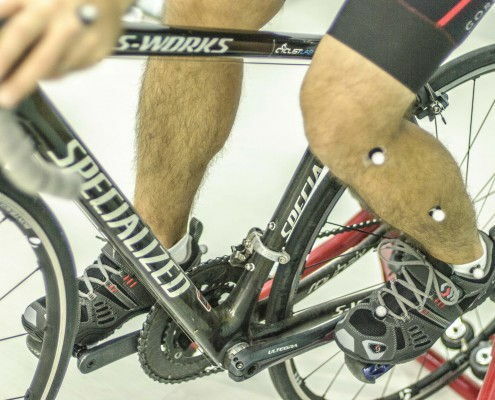 The functional characteristics of each individual demand compensatory needs in dynamic interaction with the bicycle conditioning the biomechanics. 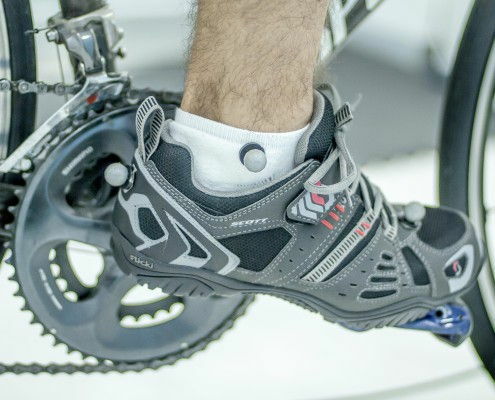 The correct arrangement of the body with respect to the bike guarantees reduction of discomfort in feet, knees, hips, back, neck, hands, as well as physiological biomechanics, correct dynamic alignments reducing the risk of injury, increasing comfort and optimizing performance. 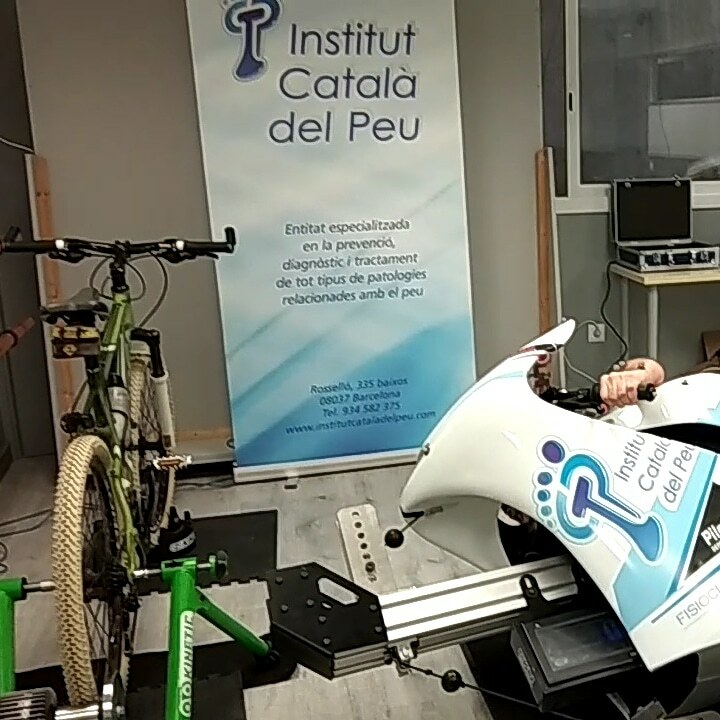 In relation to the functional range that has on the stretcher each cyclist, we propose a solution on the bike that demands the minimum of residual movements. The closed biomechanical means conditions the degree of compensation available. Consequently, we define non-physiological behaviors, dynamic misalignments and a deformation of the technical gesture.